On St. Patricks Day, the popular beer of choice is either a green tinted lager ( and really, why would you ever do that to good beer!) or an Irish dry stout – with preference for Guinness Irish dry stout on nitro! But with all the choices of stouts available in the BC Craft beer industry, why not choose a BC version? And what about an award winning classic? 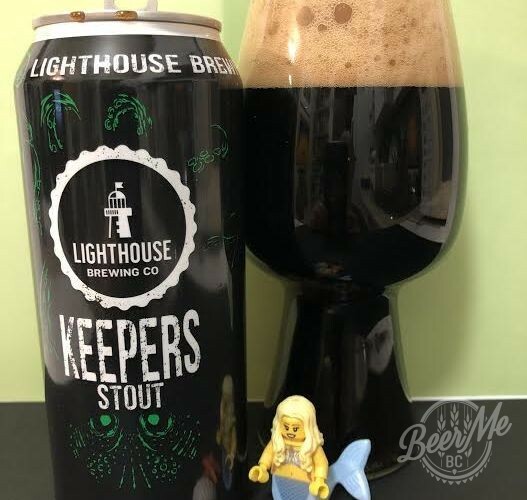 Keepers Stout, from Lighthouse Brewing in Victoria meets both categories and is one of their core products and is a apart of their “House Series” line up. Since it’s original release of stubby bottles,this stout is now available in tall cans. 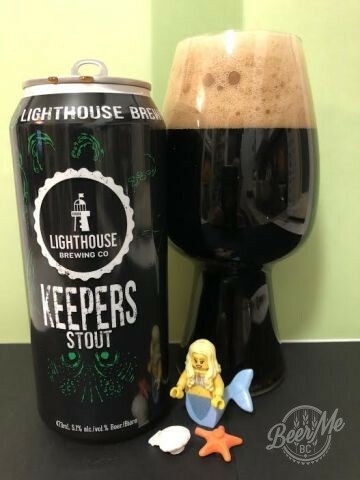 The beer pours a rich ebony black with a huge foamy tan coloured head that slowly dissipates with each sip.The aroma and flavour is a rich blend of molasses, espresso and dark chocolate. It is low in carbonation with a medium body and a clean yet roasty finish. This stout would make a perfect food pairing with any Irish cuisine and great with many chocolate based desserts! A perfect stout for St Patrict’s Day or any day you feel like a full flavoured yet easy drinking ale. This stout is a perfect food pairing with any Irish cuisine and great with many chocolate based desserts! A perfect stout for St Patrict’s Day or any day you feel like a full flavoured yet easy drinking ale.